Has your air conditioning system required a charge of refrigerant to enhance the unit’s ability to keep your home cool? Did you also notice a dramatic increase in price? If so, we would like to shed some light on the causes and what you can do to prepare yourself for the future as R-22 refrigerant is phased out. Nearly 80% of households have HVAC systems that were built prior to 2010 and use R22 refrigerant. R22 is a greenhouse gas also known as HCFC-22 and the manufacture of R-22 results in a by-product (HFC-23) that contributes significantly to global warming. As a result, the Clean Air Act is requiring the gradual phasing out of R22 as an air conditioning refrigerant. The United States is currently operating under a 90% reduced consumption of R22 with full phase out of R22 production by 2020. At that point, R22 will no longer be produced for use in servicing existing air conditioning units. After 2020, only reclaimed or recycled R22 refrigerant will be available to service existing systems. Air conditioning systems built after 2010 use R410A refrigerant, which meets Environmental Protection Agency (EPA) standards. Unfortunately, R-22 and R-410A refrigerants are not interchangeable and cannot be mixed in the same HVAC system. Because of the difference in the heat-transfer properties and lubricating oils a system designed to use R-22 will fail quickly if filled with R-410A and vice versa. When considering the cost of repair or replacement options, it is advisable to consider the age of the system and the type of refrigerant used. The price of R22 is likely to continue to soar as production is banned and the demand for reclaimed R22 increases. The timeline for replacement will vary based on the age, condition, and uses of the system; however, maintenance costs will continue to increase. Overall, owners will find it more cost-effective and energy-efficient to replace an older, breakdown-prone R-22 system with a new higher SEER R-410A HVAC system. Please see below for more information on the R22 phase-out of the Clean Air Act. In 1987 the Montreal Protocol, an international environmental agreement, established requirements that began the worldwide phase-out of ozone-depleting CFCs (chlorofluorocarbons). These requirements were later modified, leading to the phase-out in 1996 of CFC production in all developed nations. In 1992 the Montreal Protocol was amended to establish a schedule for the phase-out of HCFCs (hydrochlorofluorocarbons). HCFCs are less damaging to the ozone layer than CFCs, but still contain ozone-destroying chlorine. The Montreal Protocol as amended is carried out in the U.S. through Title VI of the Clean Air Act, which is implemented by EPA. HCFC-22 (also known as R-22) has been the refrigerant of choice for residential heat pump and air-conditioning systems for more than four decades. Unfortunately for the environment, releases of R-22, such as those from leaks, contribute to ozone depletion. In addition, as the manufacture of R-22 is phased out over the coming years as part of the agreement to end production of HCFCs, manufacturers of residential air conditioning systems are offering equipment that uses ozone-friendly refrigerants. Many homeowners may be misinformed about how much longer R-22 will be available to service their central A/C systems and heat pumps. This information below provides information about the transition away from R-22, the future availability of R-22, and the new refrigerants that are replacing R-22. What Does the HCFC-22 Phase-out Mean for Consumers? As R-22 is gradually phased out, non-ozone-depleting alternative refrigerants are being introduced. Under the Clean Air Act, EPA reviews alternatives to ozone-depleting substances to evaluate their effects on human health and the environment. EPA has reviewed several alternatives to R-22 for household and light commercial air conditioning and has compiled a list of substitutes that EPA has determined are acceptable. One of these substitutes is R-410A, a blend of hydrofluorocarbons (HFCs) that does not contribute to depletion of the ozone layer, but, like R-22, contributes to global warming. 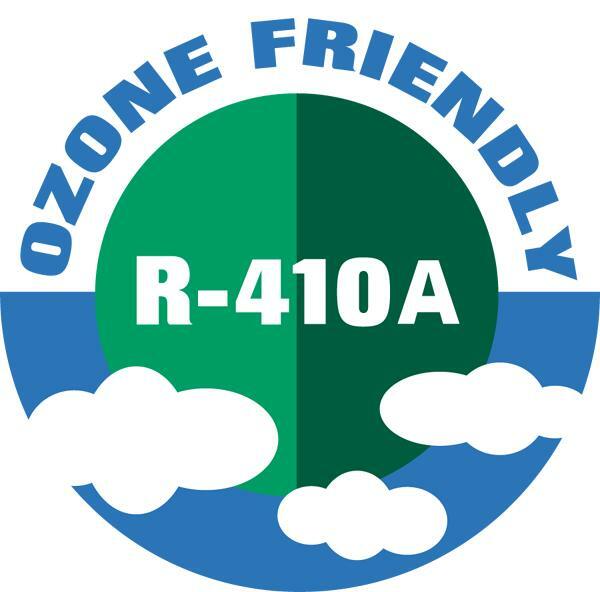 R-410A is manufactured and sold under various trade names, including GENETRON AZ-20®, SUVA 410A®, Forane® 410A, and Puron®. Existing units using R-22 can continue to be serviced with R-22. There is no EPA requirement to change or convert R-22 units for use with a non-ozone-depleting substitute refrigerant.